The World Peace Council (WPC) is initiating a campaign in solidarity with the just cause of the liberation of the Cuban Five political prisoners who have been unjustly punished and are being held in US prisons. We call upon all peace loving organizations and forces in the world to rally around the WPC campaign under the slogan: "Solidarity with Socialist Cuba-Free the Cuban Five" and carry out actions in support of their liberation. More than twelve (12) years of injustice have passed for those Cuban Five, for their families, for their wives and their children in inalienable violation of their human rights, evidence of the imperialist double standards USA government’s policy fomenting state terrorism towards third countries and particularly against Cuba. 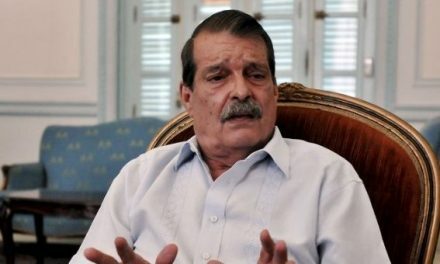 The USA Supreme Court’s shamelessness of rejecting the petition of the Cuban Five and particularly of Gerardo HernÃ¡ndez Nordelo, -condemned to two life imprisonments, plus 15 years which have been denounced as a violation by the Arbitrary Detentions’ Commission of Human Rights Council of the United Nations, shows what is the real political motivation: the US government’s policy towards the Cuban Revolution. We call on you to reverse this difficult situation for these human lives- the US government has banned the visits by their wives and daughter to two of the prisoners- and confront the hostile media manipulation in the USA which has contributed to their unjust convictions. We call upon you to exercise pressure on the US government through petitions and publications, events and protests demand from it the unconditional release of the Cuban Five. Their imprisonment constitutes, amongst other things, an act of political revenge of the USA towards Cuba and its Revolution, which we vehemently reject. We call upon you to denounce the "Common Position" of the European Union by which it is flagrantly interfering in the Cuban domestic affairs and are complicit with the activities of the USA . This WPC campaign will be also an opportunity to show to the world the achievements and sacrifices of the Cuban society, for more than 50 years under Blockade and the contribution of Cuba for the peoples in the world, including in the USA. It will be a service to the defense of truth and in solidarity with the struggling people of Cuba and its national sovereignty and independence. Your solidarity contribution will be highly appreciated in your help to disseminate and to discuss this truth. This campaign will culminate in May 2011 with the holding of an International Conference in the Cuban Province Guantanamo, which will confront the US presence and abuse of the military base and its attached concentration camp. Cuba is not alone! Long live anti-imperialist solidarity! Free the Cuban Five!